uTalk is an educational app designed to get you speaking in a new tongue as soon as possible, and the subscription in the Boing Boing Store has been reduced to $19.99. 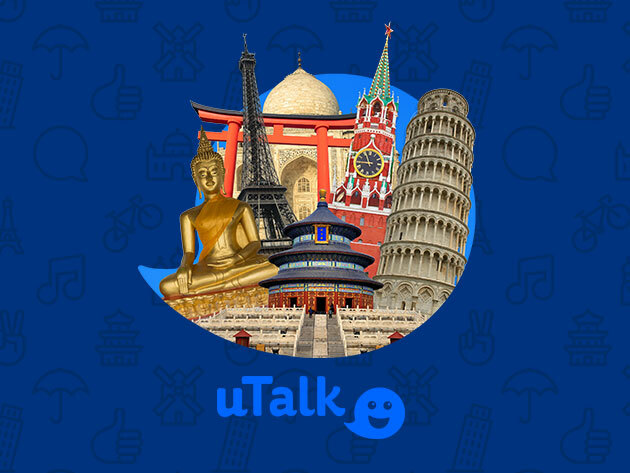 With uTalk, you can choose from a huge list of over 130 languages — you aren’t stuck with just the most popular selections from Europe and East Asia. Their system also starts off with a focus on essential vocabulary for conversation, so you won’t get hung up on translating the dictionary before you start speaking. It features interactive exercises and games to help you test your skills, as well as audio lessons from actual native speakers. uTalk Language Education keeps track of your progress online, so you can pick up where you left off on any device. A subscription is available now for just $19.99 and save an extra 15% with coupon code GIFTSHOP15.